If you would like to open a page or an image in a new tab right from the search result page, you have two easy options. Simply hold the ctrl and the alt/option key and left click on the image you would like to open in a new tab. 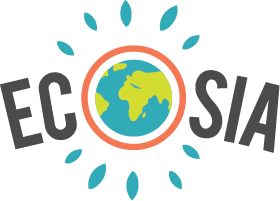 The image will open in a new tab next to the one you are currently using Ecosia with. Right click on the image and choose "open image in new tab". However, some browsers don't offer this function, so the keyboard shortcut probably is the easiest to go by. I prefer to use the keyboard, as it is more simple.